Jake Gustafson brings valuable sales and marketing experience to his role as an associate broker with Tributary Real Estate. An energetic self-starter and born leader, Jake recognizes the importance of developing lasting relationships in achieving shared success. 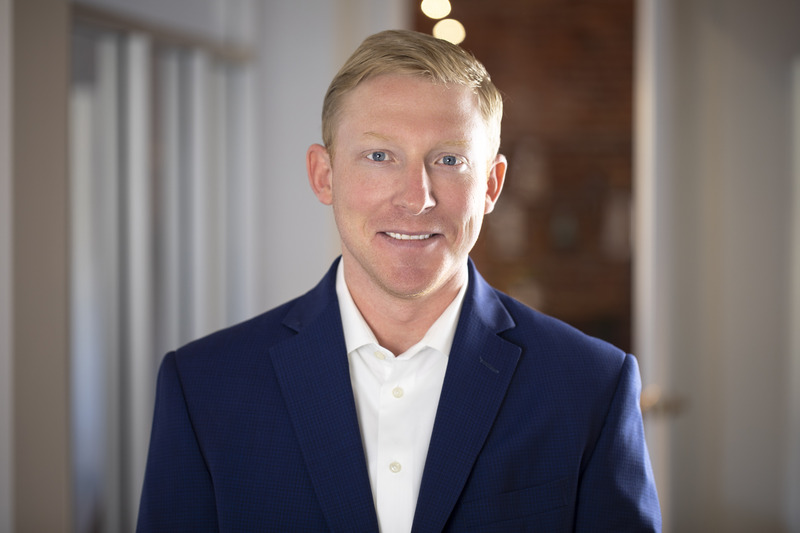 Jake assists on the business development side of Tributary, helping to expand the firm’s dynamic network of business owners within the Denver community. Prior to joining Tributary, Jake honed his relationship management skills as a supply chain consultant at Cerner Corporation and trade controller at Gavilon in Kansas City. In both roles, he combined his love of analytics and building relationships to improve multiple processes and systems. He also gained experience as part of the Quality Brands of Omaha-Budweiser marketing team, where he was responsible for executing multiple campaigns and events to support sales and marketing strategies. With a passion for building strong community, Jake volunteers with Big Brothers Big Sisters of Colorado and is an active member of the Downtown Denver Partnership and Denver Metro Chamber of Commerce, serving on the Health and Wellness Committee. Jake received a bachelor’s degree in business administration with a minor in marketing from the University of Nebraska-Omaha. A recent transplant to the Centennial State, Jake enjoys exploring Colorado’s outdoor and music scenes, as well as traveling and spending time with his loved ones.